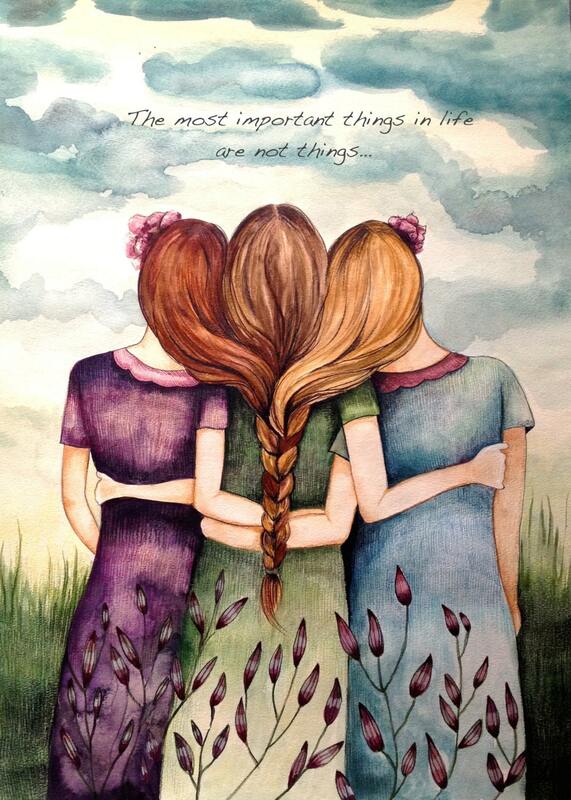 Three sisters art print with quote "the most important things in life are not things"
This was a Christmas gift, I absolutely love it!!!! I bought this print for my niece's triplet daughters who were born in December of 2014. It is absolutely perfect as the three girls all have differing shades of hair color. I can picture them posing like this when they get older:) Their mom loves it!! A lovely piece with a great warning sentiment. I was totally thrilled with my purchase. The art I bought was beautiful and I am so happy with it. The delivery of my purchase was super quick.